Taken about 20 minutes before a huge storm came in and gave me a night to remember! Great Sand Dunes National Park, Co Read about the storm! Fantastic! I really like what you did here. Fantastic picture! The colors and lines are amazing. WOW! and double WOW! This is an amazing image! Should be on your wall! Fantastic image . . . . outstanding! Thanks Wittrock and Barge. 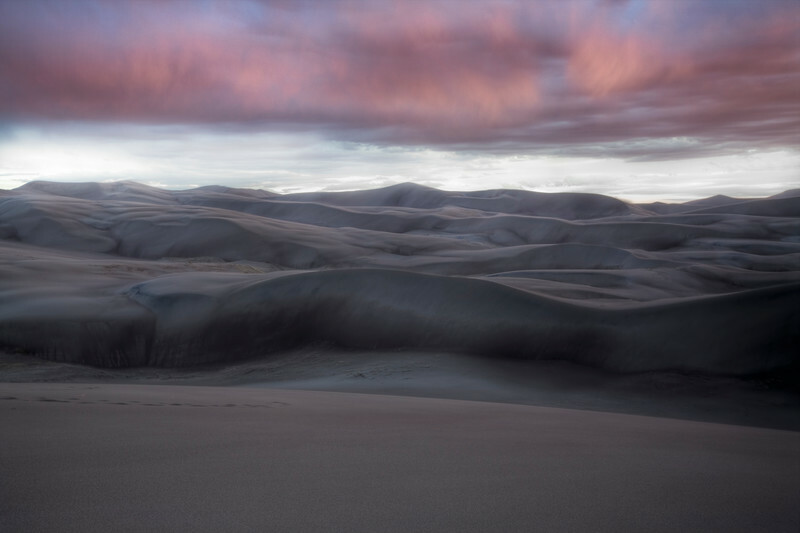 This photo was taken in the Great Sand Dunes National Park in Colorado. You can read the story of the trip in the trip journals if you like. The light and colors here are superb. Where was this taken? Very beautiful, and a nice abstract quality to it.